Quilt Top for Baby Girl (commission), a photo by GeneBlack on Flickr. Here is a better photo of the quilt top for my commissioned baby quilt. Since the weather was so nice today we took it outside for a photo. 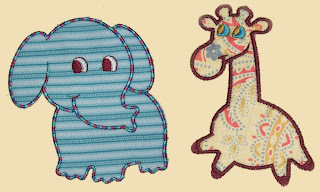 A dear friend called me up and asked to hire me to make a baby quilt for her to give as a gift. Cool, a commission quilt! So the afternoon of the big bad storm, we were sent home early from work. I needed something to take my mind off the weather. I called my friend and asked a few questions. This quilt is to be for a baby girl. No need to do a lot of fancy piecing, she said, I trust your judgement. Ahh...free rein. So I sat down at the computer and opened EQ5 (the version I have) and started playing. I got an idea and laid out a quilt. 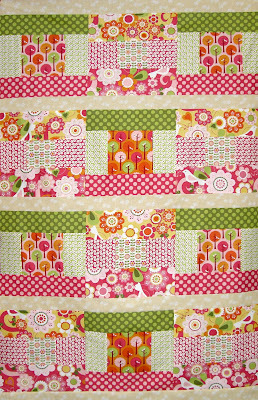 Then I got some fat quarters of Riley Blake Summer Song fabric that I won a while back on Pokey Bolton's blog and picked out what I would use for the blocks. Before the night - and the storm - was over I had finished the blocks. The next night I finished the top. Here it is for you to see. Ignore the appearance of "crooked" - the seams are really straight. It is just the way it is hanging. I first laid it out with all the blocks touching top and bottom, but it was too busy. So I added sashing (which is really a pale yellow) between the rows and at both ends. I have to say the colors are not my style, but I think it will be just great for a baby girl. Apparently the storms in Alabama made worldwide news. One of my readers from Australia asked me about it. I survived the storms and now it is quiet again. There was a lot of damage and a number of deaths from the storms, but I seem to have managed relatively unscathed. I hope no-one you know or love was affected by this extremely bad weather. By the way, I work in an emergency response team so if I suddenly disappear for several days in the near future, it could likely be that I have been deployed in that capacity. LCQA Quilt Top with Border, a photo by GeneBlack on Flickr. I got the border added to my Layer Cake Quilt along quilt top. I like the color punch and extra movement the border adds to the top. I wanted to make the corners come out "even" but that just didn't work out. I still like it! I did get all the green points headed inward and the red ones pointing outward. Today my goal was to get the Layer Cake Quilt along top sashing finished and all joined. Good news! I got that done. It doesn't appear straight because the breeze kept blowing it while the photo was being made. I am planning to add a border that I showed you earlier. It is this one. I laid it out and I think it really makes the top sing. Oh yes, My friend, Kelly, is having a giveaway for two books- one per winner so there will be two winners - over at IHAN I can only win one of them (ha ha) so you still have a chance. Go give Kelly some love. Next up- back to the sewing machine to work on that border. But wait a minute...that isn't what this is about. Sew Fun Quilts is having a giveaway The prize is 200 2" squares to make your own watercolor quilt. So if you are interested, just go on over and enter. With all the blocks completed in the Layer Cake Quilt along, I have been slacking. But tonight I found some mojo and started working on the sashing and cornerstones for this quilt. 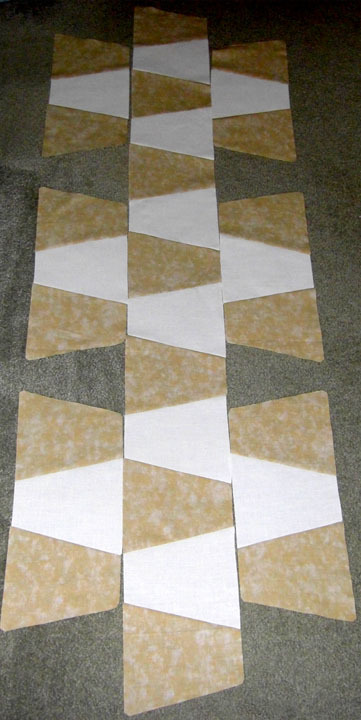 I am using a mottled medium tan for the sashing with pieces of the fabrics used in the blocks as cornerstones. Here is how it is starting to shape up. The cornerstones with several of the block settings make for some interesting secondary designs. See how there is a bit of a "chain" but then there is a non-square bit of the darker blue that changes it suddenly. I can't wait to get it all sewn together so I can see how it plays out. I apologize that the lighting in the picture is not great. My day job interferes with my quilting - but I couldn't afford to quilt without it. Ha ha. Just a reminder, if you haven't voted in the AccuQuilt Barn Quilt contest go vote. Today (April 19th) is the last day of voting. I would appreciate your votes for my design shown below. The latest blocks for the AccuQuilt Go! Quilt Along were posted this weekend. Unfortunately, the block posted is the Blazing Star by Eleanor Burns. I don't have that die so I had to make replacement blocks. One of the options listed was to pick a block from the GO! Mix and Match dies. 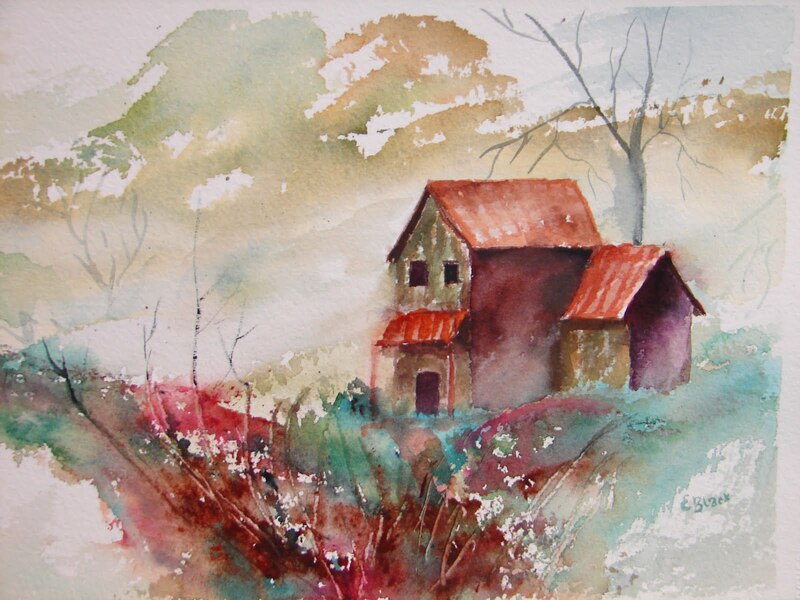 So I chose one and used the colors that were to be used in the posted block. Here are my replacement blocks. 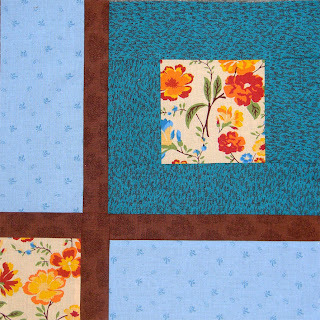 I think these will look great with the other blocks I have made for this quilt along. FYI there is a giveaway at One More Quilt with nice prizes. Work Done and Sewing too! Whew! Today has been something. I have a new water heater installed and no more leak - Can I hear a hooray? My credit card has steam rising off of it still. I did not realize how much that would cost, but I do love a hot shower, so I am sure it is worth it. I have been doing the GO! Quilt Along at Quilt Possible! hosted by Ebony Love. Block 4 is simply the Tumbler Block - and I am glad I have the die for it. I would hate to have to hand cut those. We cut 12 blocks of our light neutral and 19 of our dark neutral. Here they are sewn together as instructed. You know I like to show some color, so here is a wonderful surprise I got in the mail a week or two ago. Isn't this an adorable little bouquet? It is photographed sitting on the arm of my sewing machine. Why do I have a bouquet on my sewing machine? Well you see it has a secret. Look! Each of the flowers is a pin, How is that for clever? One of my adorable followers, who I count as a friend, sent this to me. 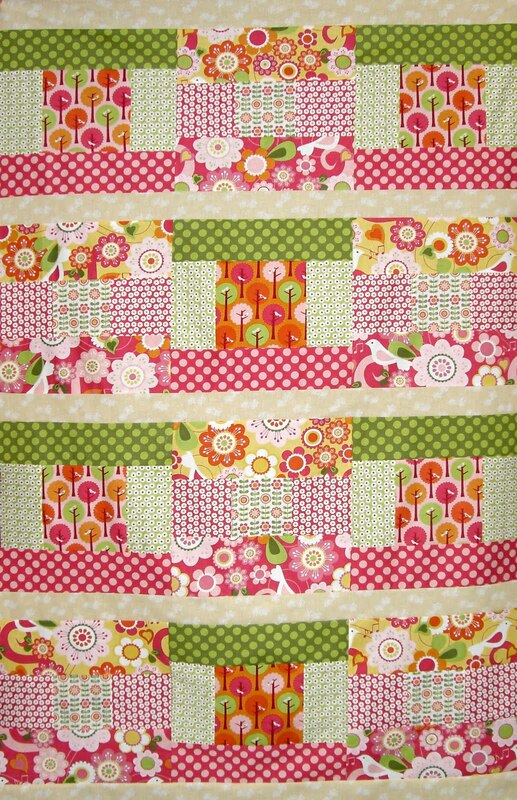 You can find her blog at Frummie's Quilted Garden. Thanks Frummie. I love it. Oh yes, please if you haven't already, GO! and vote in the AccuQuilt Barn block contest. You can also write a review for the block if you wish. Here is my block. I received some very exciting news today. 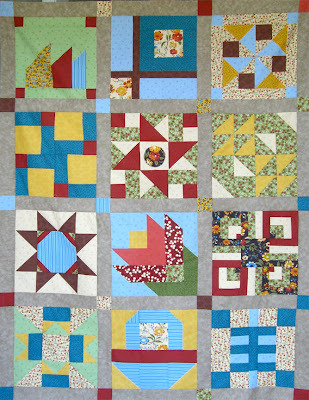 The AccuQuilt Barn Quilt design contest has posted the top 100 blocks. Along with several of my blogging friends, I have a block in there. Actually I have two in there. So I am casting my fate to the wind -errr internet, and asking for your votes. I would truly love to win this contest, but I already feel like a winner for making it into the top 100. Please tell all your friends about this also and send them to vote. Say a little prayer that this doesn't cost me a fortune to fix. I had drafted it in EQ5 just to see how it would look before I started cutting. I cut the pieces and sewed one complete unit to test it before I started chain piecing. That is always a good idea. 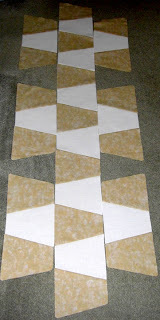 Then I started chain piecing, I got all the pieces into triangle/parallelogram units and started ironing. Here is my ironed stack. A song came into my head from the seventies early eighties - "She's a very freaky girl....the kind you don't take home to mother"
Then a quilting phrase popped in my head "As you sew, so shall you rip"
This one will get ripped out. and redone....but it is an extra piece I think. This is a quick post. I have embroidered two more bibs. 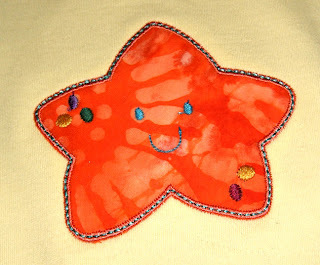 I used applique embroidery designs that I bought at Embroidery Library. These are from the Baby Animals package. I realized too late that the giraffe was too close in color to the bib. Yes that is right block 12! We are finished making blocks for this quilt. Here is my final block. It was designed by Joan Lucchese. Next up, will be setting the blocks and sewing the top together on this one. I know that Konda has something in store for finishing this one. I can't wait to see. I got my "google alert" email this morning and made a discovery. The folks at AccuQuilt have added something to the site. It just so happens that my name is on part of it. That is why I got the Google Alert. Click on the navigation bar where it says Video Library. Then on the right, you will see three little tabs on the top. The one at far right says Best In Category. Just go see what it is. I was truly surprised. 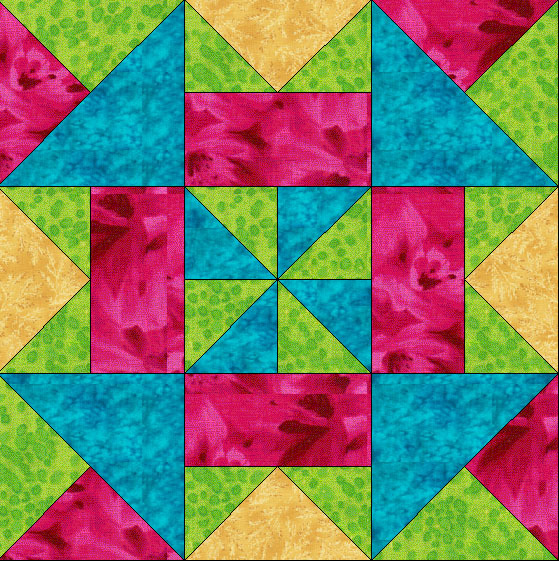 Oh yeah, if you haven't entered your creation in the Barn Quilt design contest at Accuquilt, get to it. There is now less than a week left. Let's Sew ATC, a photo by GeneBlack on Flickr. A few years ago, there was a very active ATC (artist trading card) group that I was a part of. When I started sewing, I combined the two things in a couple of ways. I drew this card with a sewing machine on it. Hello my friends. 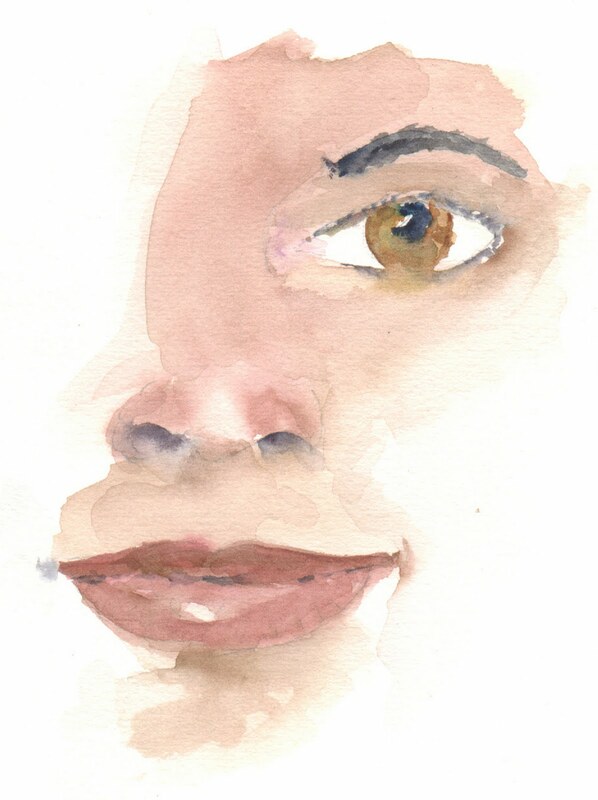 I confess that I have taken a couple of lazy days, or as I like to call it "being time." That is, time to just be and think while I relax. On one of those days I did finish the Native American Table Runner. Here it is hanging on the side fence to take advantage of the natural light. A big Thank You to all of those who left quilting ideas. I used some of them and adapted some of them. You may remember that I got a small embroidery machine just a while back. I have been avoiding it after the initial trial because it is not where I normally sew. I decided that my netbook computer would hook up to it to transfer designs (ah- that good thinking time paid off!) My supervisor at work and I have been talking about some good uses for my embroidery machine. She has twin grandsons. I have a grand-niece on the way in July. So, she bought some baby bibs that are plain to embroider so I could "practice." Here are the three I have done so far. The star has a smiley face that is just adorable. I did this one last night so I have a separate picture of it.